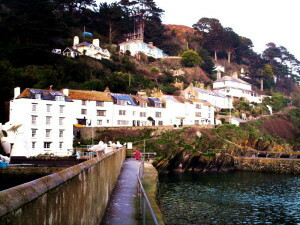 Polperro is a small fishing village with a pretty harbour which faces south-west towards the Atlantic. We arrived here at the end of winter when the place seemed dead. The atmosphere of peace and silence was so that one would believe you were at the very end of the world. Entry into the village is forbidden for cars, so we parked outside the village in an allocated car park where we found an antique horse drawn cart used in the summer to take tourists into the village. We left walking towards the village down some very narrow streets and right at the very beginning of our walk it became very clear why it would be impossible to drive into the village. 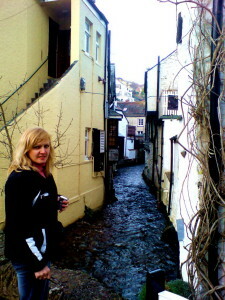 The small alleys, paths and the maze of little streets among the old fishing cottages all lead you downhill to the harbour. There are no stations or big shops and no hustle and bustle of a big city. Polperro offers the visitor a few ancient pubs, taverns and inns, as well as tea rooms serving traditional Cornish cream teas. Behind the windows of the little antic shops you can see strange, ancient and exotic things as well as amusing souvenirs. The superficial small river running beside the street in front of the cottages is like a small stream flowing down to the sea. The gentle murmur of this brook blends wonderfully together with the sound of seagulls soaring overhead and along the coast. To meet someone on any street in the winter is practically impossible since everyone rushes home from the cold wind after sunset. In a local art shop we found a good choice of pictures with local landscapes. It seemed that all local areas, cottages, facades, side streets, passages, balconies, and sea views are sketched by some artist or other. In the summer among the hundreds of tourists that flock here every year, you will find lots of them carrying canvases, paint boxes and easels. 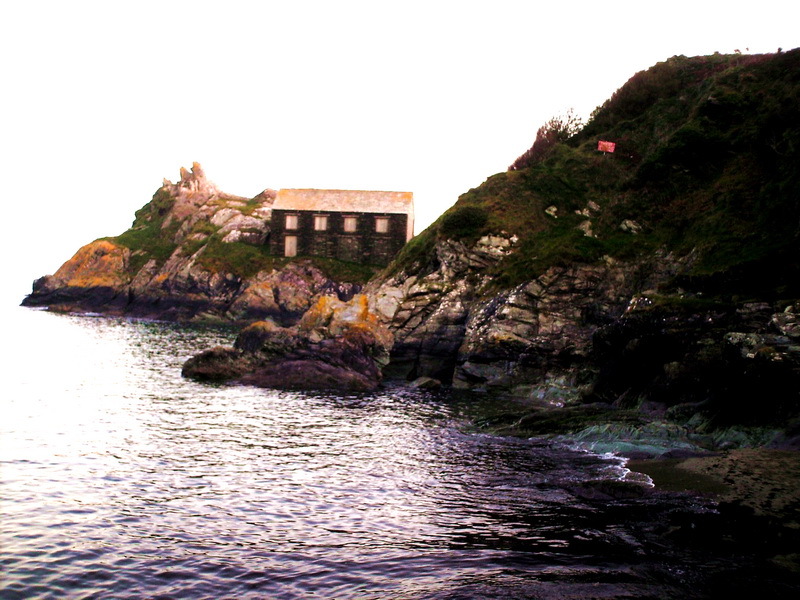 One hundred years ago this place was beautifully described by writers who visited here. They wrote about stagecoaches full of artists and about the ancient customs of the fishermen and inhabitants as told them by the old folk that lived there years earlier. Apparently there is not a lot that has changed in the old village since those days, except the people are now different. 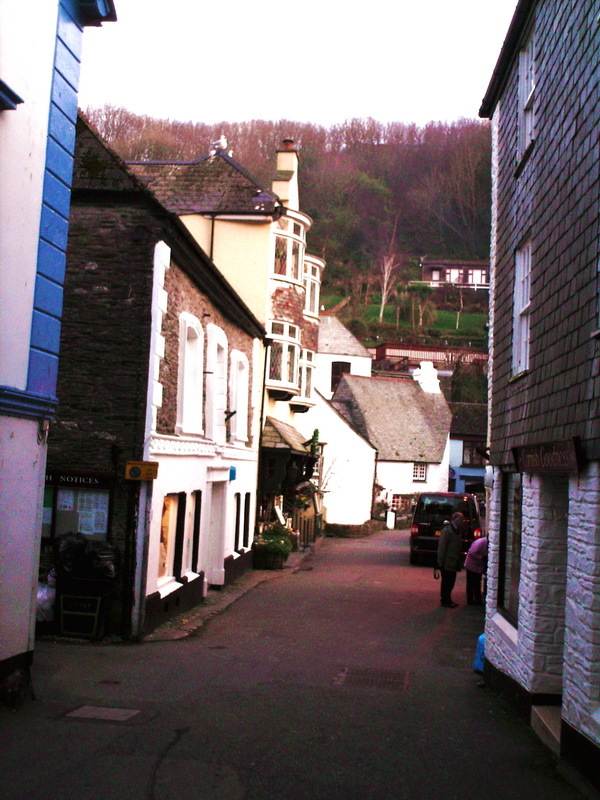 Polperro is mentioned for the first time in the Doomsday Book during William the Conqueror’s time as belonging to two ancient manors. Royal documents in the 13th century have it down as a fishing village. 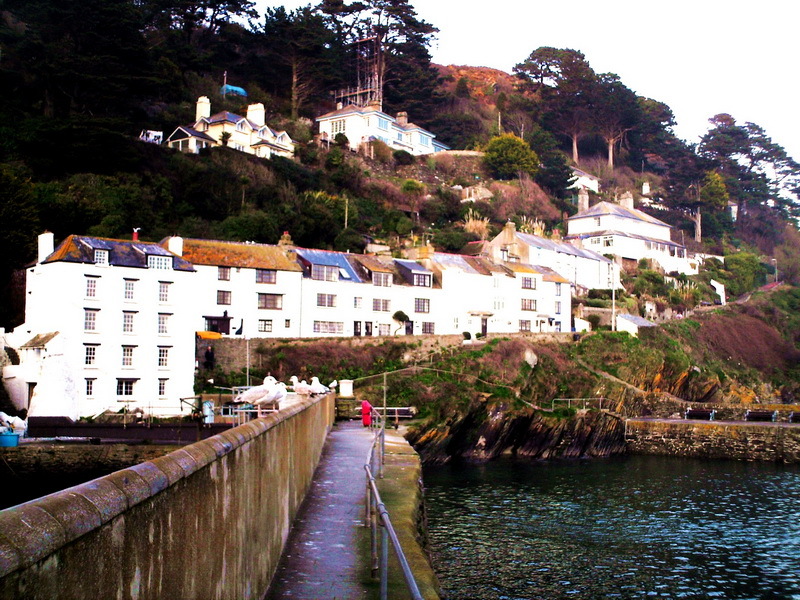 But most of all, Polperro became famous for smuggling, especially in the 18th century when England was at war with France and the customs duties for goods were very high. One day a man called Zephaniah Job arrived in the village and organized a very successful business. He became “The Smuggler’s Banker” and helped a lot of local smugglers thrive. Diamonds, coffee, silk, tobacco and other goods were unloaded without lights in Polpero’s harbour during nights with poor visibility and most often during the winter. In Polpero’s Heritage Museum of Fishing and Smuggling there are a lot of historical artefacts and documents that can be enjoyed by interested admirers. Fishing has been the main occupation of the inhabitants for most of Polpero’s history. In the winter the population is only about 600. 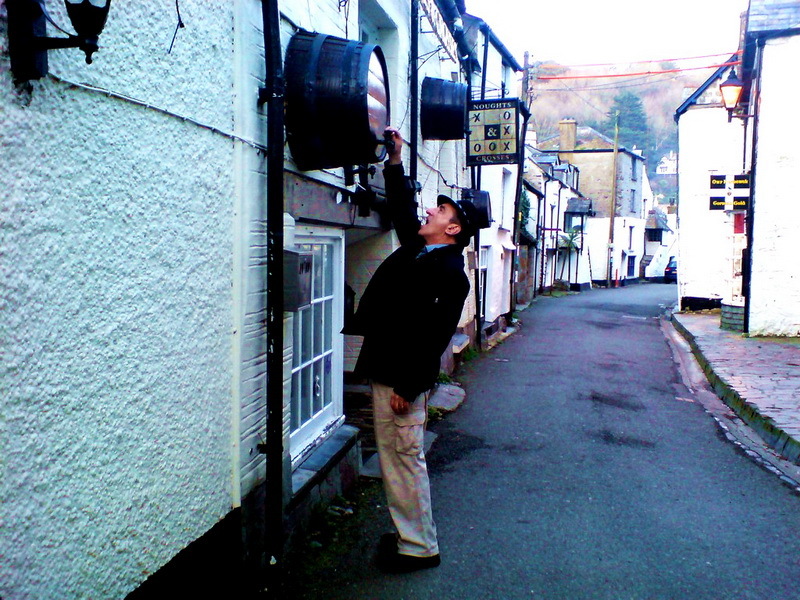 On our short walk we noticed that hardly any lights were switched on in any of the cottages, this is probably due to the fact that many are bought up for summer holidays or to be let to the visiting tourists and not to be lived in as permanent homes. This sleepy village in the winter will suddenly wake up in the bright spring sunshine then come summertime thousands of tourists will fill up the streets and the place will once again burst of new life. The white washed cottages and the picturesque landscapes will be overrun by curious tourists with cameras eager to get the best shots with their families. Cosy ancient corners will surely find new artists sheltering in them, painting their own little masterpieces of these beautiful landscapes with their imaginative and visual perspectives. 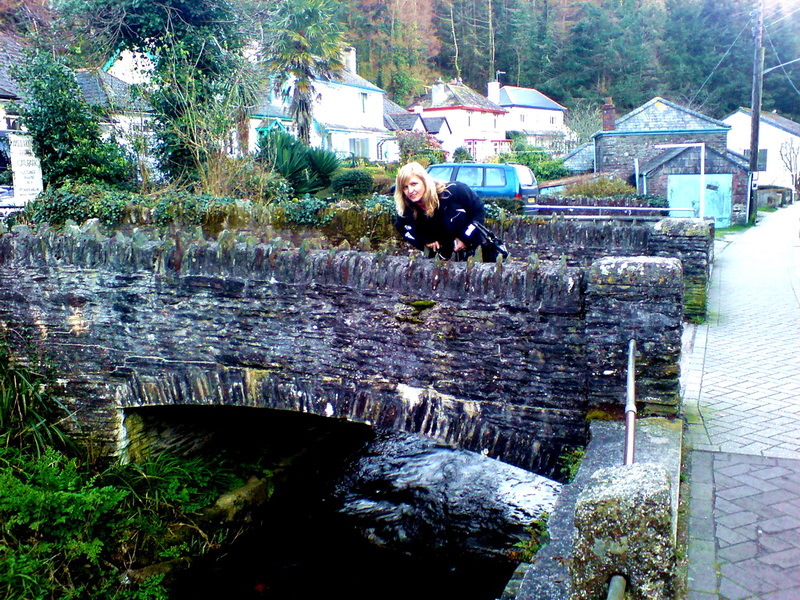 This entry was posted in History&Towns&Castles&Palaces&Museums and tagged The fishing village of Polperro. Bookmark the permalink. Visit Alla Rizzo's profile on Pinterest.